This is by no means an exhaustive list, but I’ve added the top one or two from a selection of categories that I hope some of you may find interesting and useful! It seems like a long time ago now, but it was just less than a year ago that I first read and reviewed HillFit by @ChrisHighcock of Conditioning Research Blog. If you’ve a friend or relative who’s looking to start a program of exercise, this would still be my top pick – clear, concise and free of gimmicks this is a great place for someone to start their first foray into fitness and strength! Check out my full review here. 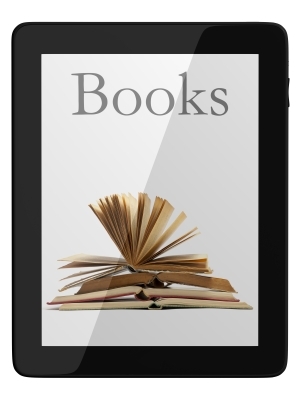 I was very happy when this finally got a UK kindle release. Exercise is supposed to be good for the body, but many popular and widely practised exercises are anything but – having been designed with little regard for proper joint function or efficacy. In this clearly presented and well explained book, Bill DeSimone names and shames some of the major culprits, and does a fantastic job of taking down some weight-room sacred cows. 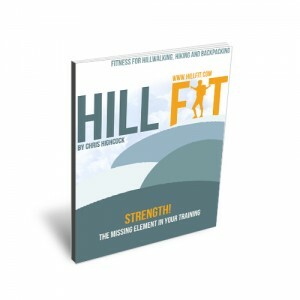 Used alongside the underlying principles in HillFit, this book would form a great compendium of exercises with which to safely and effectively build muscle. A must read for trainers and trainees alike! This book is a fascinating read, and being written by a Primatologist with a background in Evolutionary Biology, rather than nutrition and health, brings a different perspective on the “paleo diet”. In it he argues that it was the discovery of cooking, and thereby more easily digestible foods, that allowed our stomachs to shrink and brains to grow, ultimately leading to the evolution of homo sapiens. I’m not normally a big user of cook books – I might glance at a few different recipes and then wing it on my own, but generally tend to just make things up as I go along. That works great for fish and muscle meats, but items like offal, brains and facial features tend to prove a bit more of a challenge! That’s where this book comes in. In it @JenniferMcLagan clearly and simply lays out how to prepare and cook all the other bits of the animal. What I like is that each section has a general intro, with the important take home notes for each “odd bit”, great for those like me that don’t want to stick to a rigid recipe, but just need to know the essentials. I also love her philosophy in the introduction – It sums up my reasons for eating local, naturally reared meat, and using every part of the animal perfectly! This book will help your to realise that you are not so smart! More often than not, our behaviour influenced by a myriad of external factors on an unconscious level – everything from the décor of the room to the clothes you are wearing can have a huge impact on the way you think and act. Most of the time we are blissfully unaware of this, with our conscious brain making up satisfactory explanations to make ourselves feel good and in control! As you probably know, I’m fascinated by the gut, which is what first attracted me to this book. As it happens, it didn’t actually have anything to do with the gut-brain axis as I’d hoped, but it still turned out to be a fascinating read nonetheless. It ties in nicely with a lot of the concepts in You are Not So Smart – We’ve evolved the ability to make many snap decisions using inbuilt heuristics which can in many cases outperform trying to rationalise a decision. This book is not meant as a definitive guide as to when or when not to rely on gut feelings over rationalised decisions, but contains examples of many interesting experiments where the two have been pitted against one another which may give you pause for thought. Craft Beer and Entrepreneurship – two of my favourite things combined, so I could hardly fail to like this book by Sam Calgione founder of Dogfish Head Brewery. You don’t have to be a fan of ale to appreciate the book however – whatever your passion, reading this could help inspire you to break out of the 9-5, and start doing what you love. It’s funny, inspirational and full of practical and actionable tips. I’ve been planning to read Why Zebras Don’t Get Ulcers for quite some time, but still haven’t as I’m holing out for a kindle release. I was happily surprised therefore, to find a copy of this book someone had left in a chalet I was staying in in Scotland in September. As I busted up my knee on my first day doing the Rat Race Coast to Coast I had plenty of time to read it! Aside from some highly interesting insights into primate behaviour and lifestyle related disease, Robert Sapolsky’s accounts of his experiences with both baboons and people will have you alternating between belly laughs and choking back tears. A properly riveting read. Just wish they’d hurry up and release kindle versions of his other book! That’s it for now. If you’ve read, or go onto read, any of these books, I’d love to hear your comments, either below or via twitter or the new facebook page. Also, if you’ve got any good tips as to what I should add to my future reading list for 2013, that would be much appreciated also!